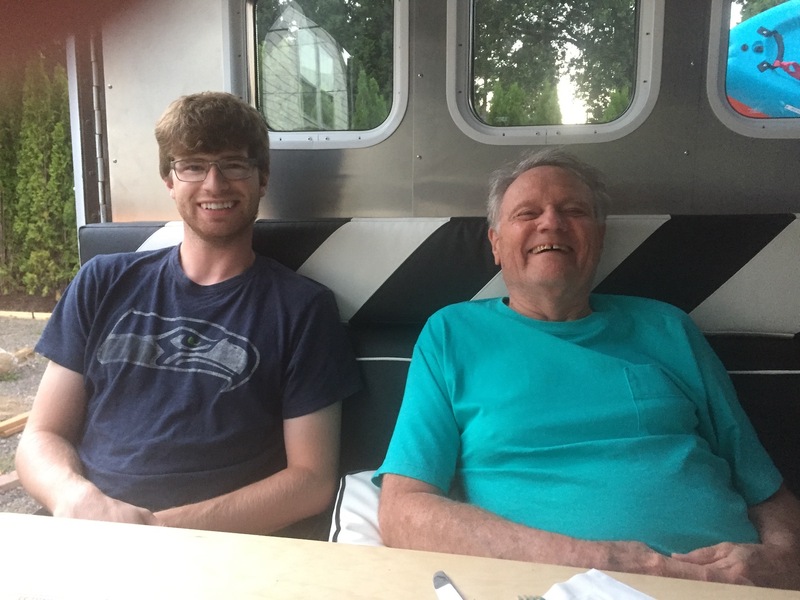 My dad and son were here this weekend so we took some time to enjoy ourselves, watch the big football games (Seahawks & Cowboys) and do a few little projects using three generations of German Engineering know-how. We started calling our team “Ouzts Cubed,” or O3. Here’s the beautiful, sag-proof gate we built for the RETROpad. The cedar planks line both sides of the frame, and all the hardware is stainless steel. The frame is made from pressure-treated 2x4s arranged in an X and fastened with 6″ TimberLock screws. The post cap lights are solar-powered LEDs, of course. This took about six hours to build, start-to-finish. And that includes Steven weather-sealing the planks before assembly. My dad treated us to milkshakes in celebration. Yum! On Tuesday, my dad and I cut, drilled and screwed in several aluminum ceiling panels. 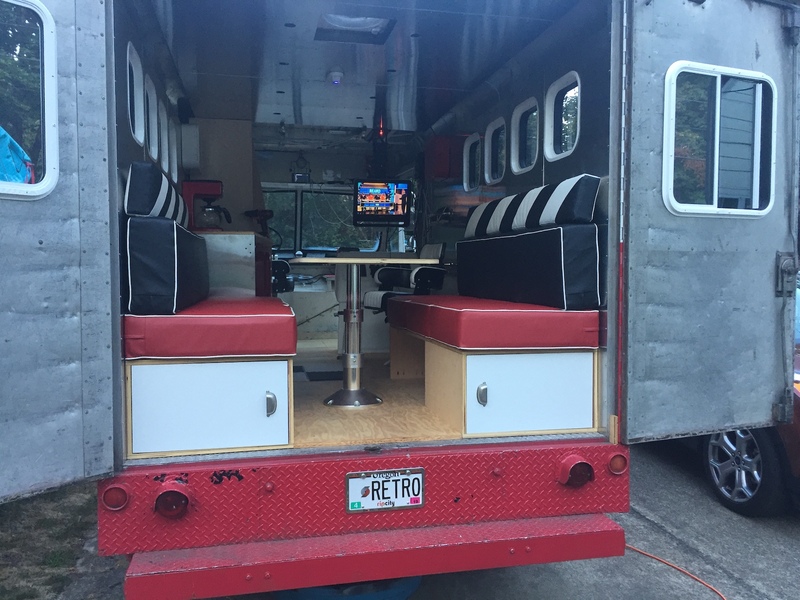 And for the first time the RETROvan starts to feel like a finished space. The light and vent holes lined up perfectly, and the reflections from the TV on the ceiling look like the northern lights. It’s a super cool effect at night. Gary came to build out the elaborate forms for the concrete curbs. They’ll contain the heavy cement and keep the steps straight and sharp. The cement truck is scheduled for Thursday. Once the pour starts, Gary has to work fast to remove the forms and strip and finish the cement before it sets. Gary has decades of concrete experience so we’re lucky to have him on the project.